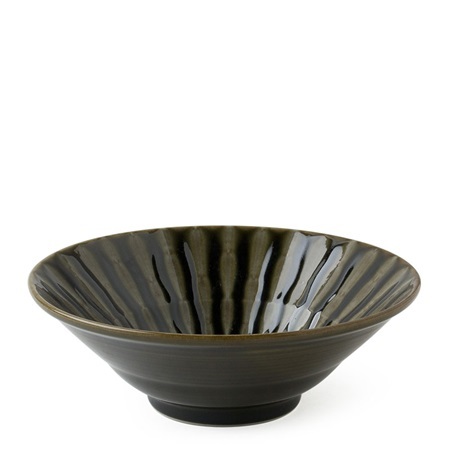 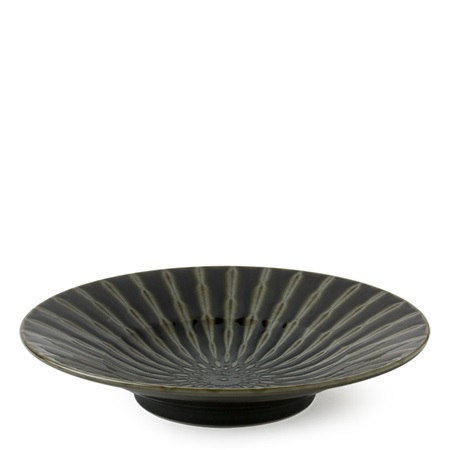 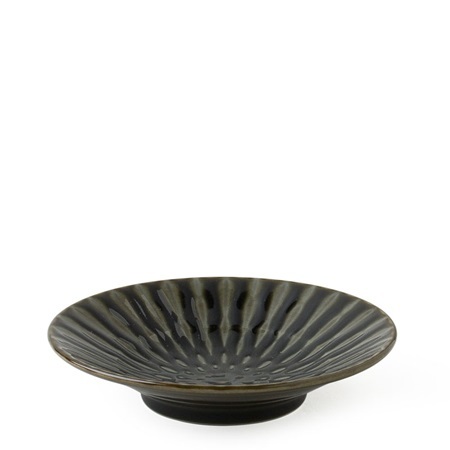 Beautiful forest green hue of the traditional Oribe glaze is the hero of this series. 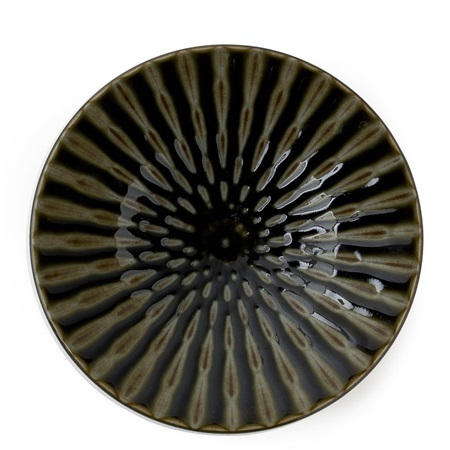 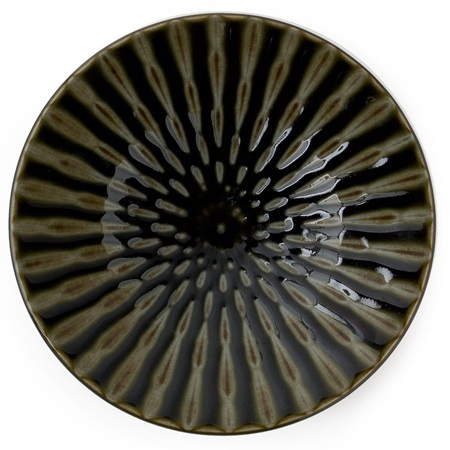 The tokusa stripes add drama to each piece making it perfect for plating elaborate meals or simple comfort foods. 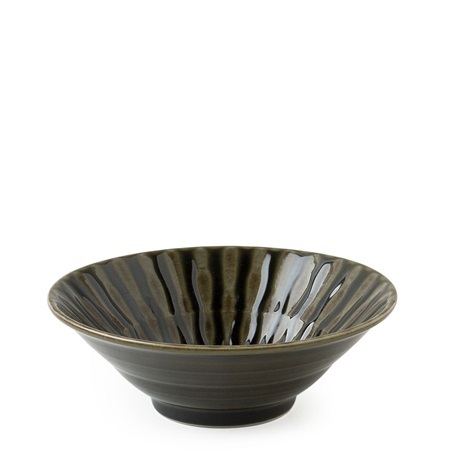 Dishwasher/microwave safe.